My background lies in linguistics. In particular applied linguistics, bilingualism and second language acquisition. I have a Masters degree and a PhD in Bilingual Language Acquisition. I wrote a whole 300-page thesis on children acquiring two languages (French and English) from birth. I looked in particular at the development of their vocabulary from the time they started talking to around their 3rd birthday. 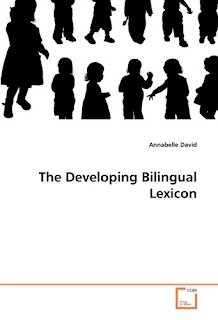 - My study was one of the first longitudinal (over a period of time) of a (small) group of bilingual children when most studies are/were carried out on single cases or cross-sectionally. - Secondly, the children in my study were systematically selected according to a set of sociolinguistic variables. This allowed for meaningful comparisons of the results as well as possible future replications of the study with even larger samples or with other language pairs. - Finally, the methods used in the study were innovative in that both quantitative and qualitative methods were used longitudinally as opposed to only longitudinal qualitative data or only quantitative cross-sectional data. - A bilingual child's total vocabulary is heavily influenced by the amount of time he/she was exposed to a given language where greater exposure is associated with a larger vocabulary size. - Lexical categories (nouns, verbs, etc) develop in a parallel manner whether or not children are dominant in that language and similarly to monolingual children. 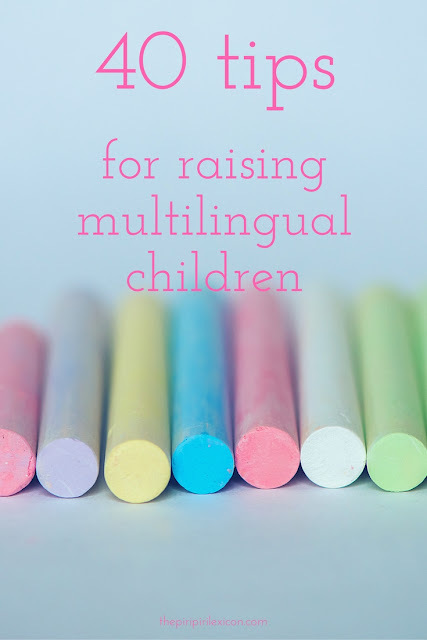 - Bilingual children produce translation equivalents before the 50-word stage (despite current theories), however, these words might not be the same in nature as synonyms so monolinguals and bilingual should not be compared in that respect. - This thesis also sets the age of first word combinations for bilingual children to around 20 months while claiming that this is only achieved after each language has reached the 50-word milestone. - Finally, great variability is noted throughout the thesis in terms of lexical development. Some of the differences are explained by socio-linguistic factors such as parental strategies and language exposure. Therefore, the importance of accounting for such factors when studying bilingual language development is underlined. 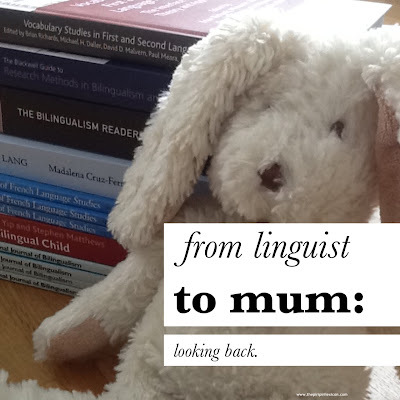 My work led to further work by some of the world’s leading researchers on bilingualism like Diane Poulin-Dubois and Ellen Bialystok (2012) and Annick de Houwer. You can read the full thesis here or even buy it here (not sure why you would want to do that but please go ahead). I was a Research Fellow for over 5 years. I worked on two major projects looking at children and teenagers learn a second language (in school settings). Both of these projects were under the umbrella of the FLLOC corpus. Our second project focused on answering the question: is earlier better when it comes to learning a language at school? In our study, looking at 5-, 7- and 11-year-olds, provided with the same content and similar age-appropriate teaching, we found that the older children learnt faster as they had more cognitive and learning strategies at their disposal. They also used advanced literacy skills to advance their learning further. The youngest children were, however, the most enthusiastic. The outcome of this research is best summarised here. You can watch a sample of the teaching the children received here. Year 3 French classroom film: Role-play "In the café" from University of Essex on Vimeo. How is what I write on bilingualism different from other sites? - Most of my articles are based on scientific research. No random facts, no myths spreading here. You can find out more about my language-related pieces here. DAVID, A. & LI, W. (2004). 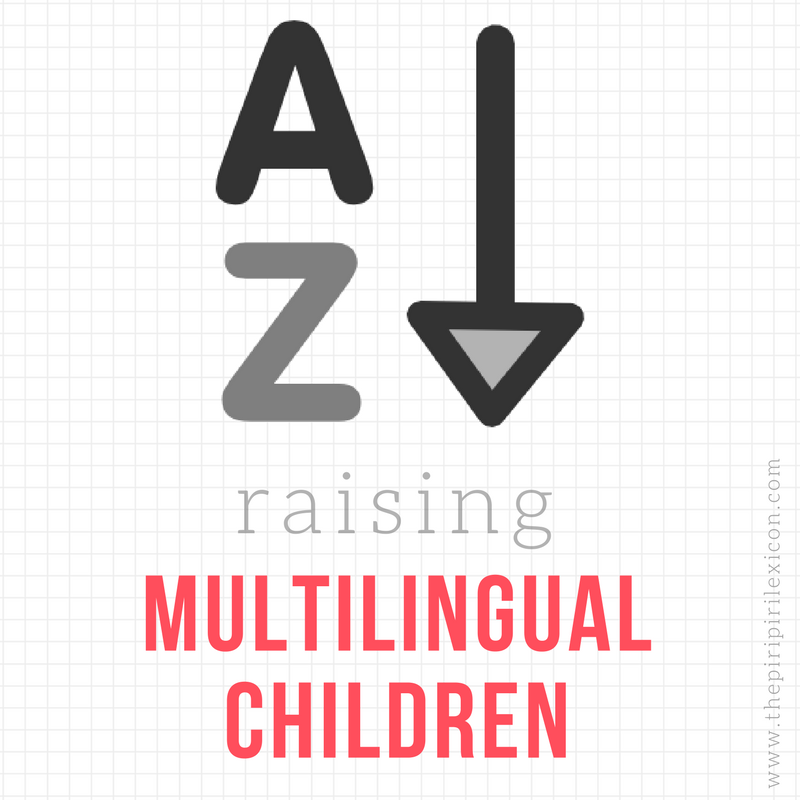 To what extent is code-switching dependent on a bilingual child’s lexicon? Sociolinguistica, 18, 1-12. DAVID, A. & LI, W. (2005). The bilingual lexicon. In Cohen, J., McAlister, K., Rolstad, K., & MacSwan, J. (Eds.). ISB4: Proceedings of the 4th International Symposium on Bilingualism, 594-607. Somerville, MA: Cascadilla Press. DAVID, A. (2008a). Vocabulary breadth in French L2 learners. Language Learning Journal, 36(2), 167-180. DAVID A. & LI, W. (2008). Individual differences in lexical development of French-English bilingual infants, International Journal of Bilingualism and Bilingual Education, 11(5), 598-618. MARSDEN, E., & DAVID, A. (2008). Vocabulary use during conversation: a cross-sectional study of development from year 9 to year 13 amongst learners of Spanish and French. Language Learning Journal, 36(2), 181-198. Link to article. MYLES, F. & DAVID, A. (2006). Recherche dans le domaine de l'interlangue française : où en est-on? Rivista di Psicolinguistica Applicata, 6(3), 79-92. ZHU, H., & DAVID, A. (2008). Cross-sectional and longitudinal designs, case and group studies. In W. Li & M. Moyer (Eds. ), The Blackwell Guide to Research Methods in Bilingualism and Multilingualism (pp. 88-107). Oxford: Blackwell. N.B. : All of my academic work is published under my maiden name (Annabelle David).